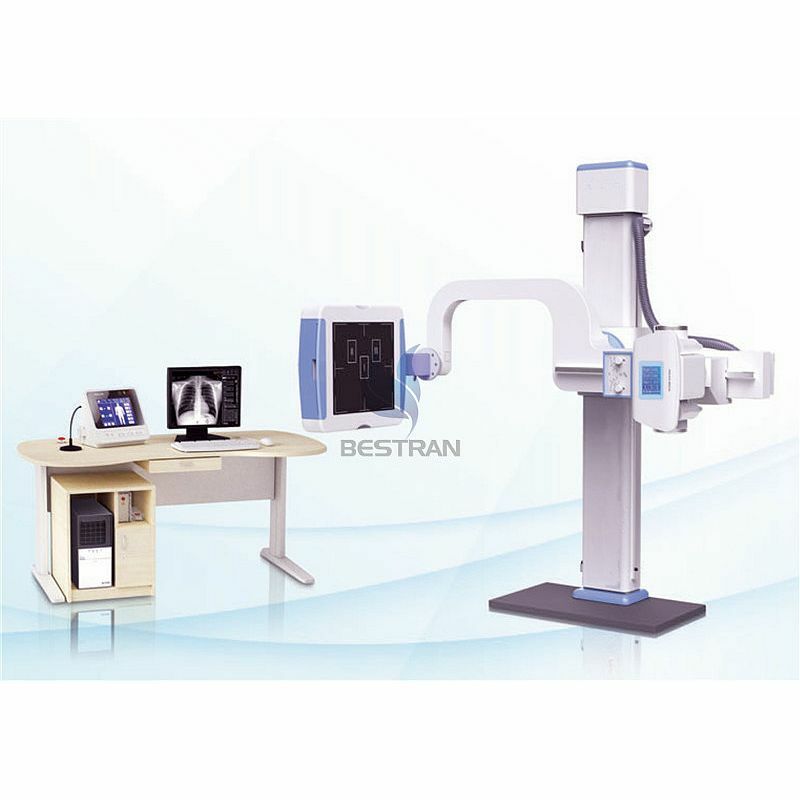 Detail Produk "BT-XR12 High Frequency Digital Radiography System"
Advanced 260kHz high frequency high voltage type generator, realize 1ms instant exposure, high performance. 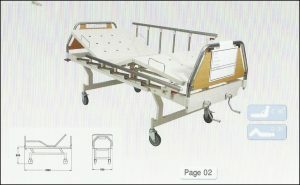 Three exposure method free change: KV, mAs two adjustment, KV, mA, s three adjustment and AEC function(optional), to satisfy different habit of different doctors. Digital micro-processed closed loop control and malfunction alarming system to reduce the dose of X-ray protect the patients and doctors very well. LCD touch screen, beautiful appearance and convenience to operate. l Apply with A-Si (Amorphous silicon) Toshiba imported Flat panel detector, which could give perfect digital images directly. l 17〞×17〞Large acquisition area and with the non-center processing technology, no matter the center and border, the quality of the image is the same. l The detector has the self-protection function. It can stop to move when it detect the distance in front of the barrier. 2.Image Acquisition: Automatic window adjustment, Automatic cropping, Automatic transmit. 3.Image Processing: Tissue equilibrium, W/L adjustment, Gamma correction, interest district, reversed phase, noise reduction, smooth, sharpen, pseudo color, edge extraction, shadow compensation, filter nuclear, single window, dual-window, four windows, movement, right rotated 90°, left rotated 90°, level mirror image, vertical mirror image, magnifying glass, image zooming, reset, layer information, label character, drawing label, length measurement, angle measurement, rectangular length, rectangular area, elliptic length, elliptic area. 4.Dicom Image Transmit, Dicom Image Storage, Dicom Image viewing, Dicom Image printing. 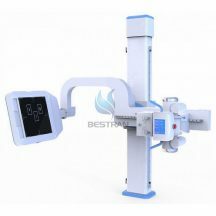 Be equipped with 24〞imported LCD high resolution monitor screen, the delicate and richness degree of image is far higher than the normal medical monitor. International advanced level. l Brightness and Contrast are higher than 1000NIT, far higher than the normal LCD screen of 400 NIT. l These features can make the doctor diagnose more accurate and smooth. l Be equipped with the microphone and remote exposure control. The doctor can control outside the operating room. 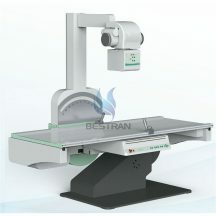 l Be equipped with various set of infrared facilities to protect the machine from the mis-operation of the doctors. l Optional SONY, CODONICS film printer. 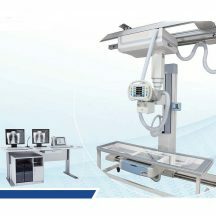 l The self-designed and manufactured electric U-arm mainframe can move up and down, and rotate in a wide range, which can satisfy the requirements of multi-site photography. l Adopting original Italian geared motor, the features are reliable performance, lower noise, longer service life.